Over the years, the name Shamrock has become synonymous with quality sod. This reflects the fact that we begin with the best seed on good, fertile soil and our staff of professionals know the "ins and outs" of raising a crop of sod. That's why people expect the best from Shamrock. 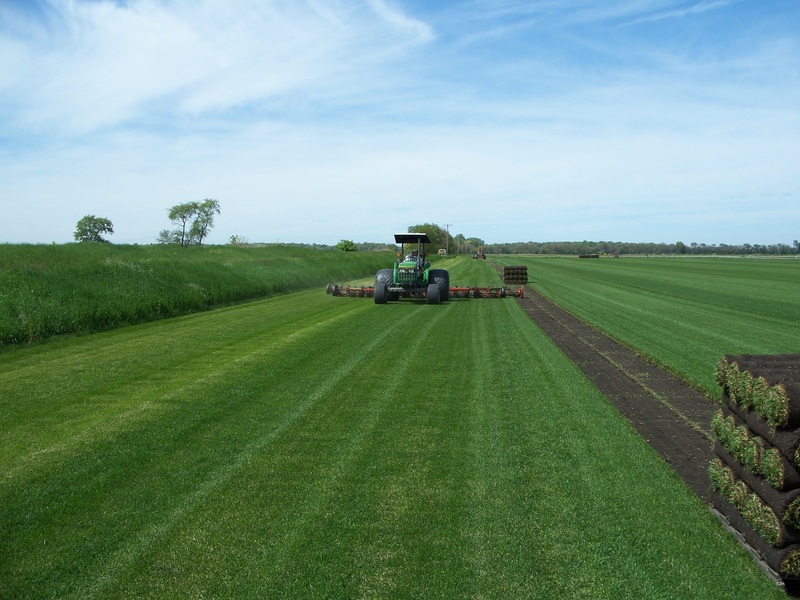 Shamrock Turf Nurseries is a family owned sod operation located in Momence IL. 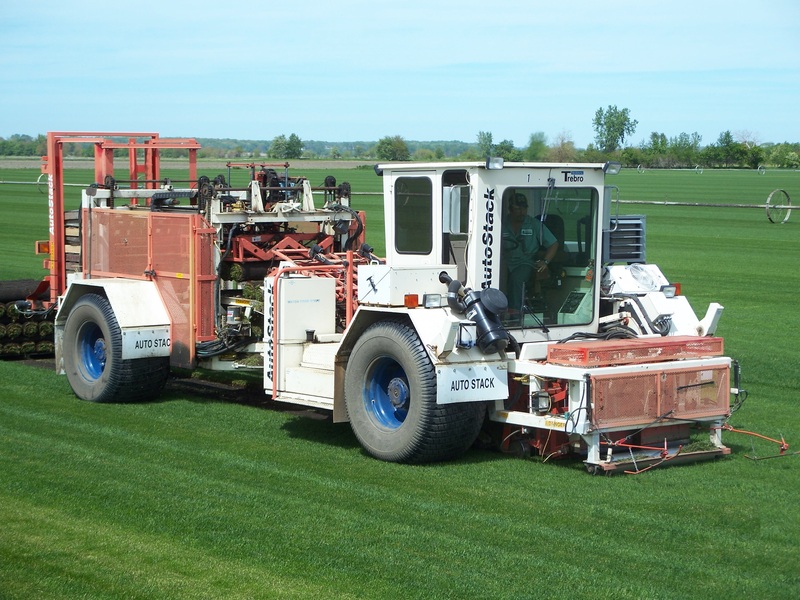 This farm is engaged solely in the growing and selling of quality turf grass. Shamrock Turf Nurseries has been in business since 1960. Obviously, we have learned a great deal about the sod business in this period of time. And, our professional staff concentrates strictly on one product to make sure our quality standards are continually met. Shamrock Turf grows a mixture of four blends of blue grass. Working closely with research departments at Purdue, and The University of Illinois, Shamrock selects those varieties of Bluegrass that are best for the Indiana and Illinois region. Shamrock 721 Sod is a blend of advanced bluegrasses selected for their ability to deliver top performance, year after year, under midwestern climate conditions. Adaptable to full sun or moderate shade. 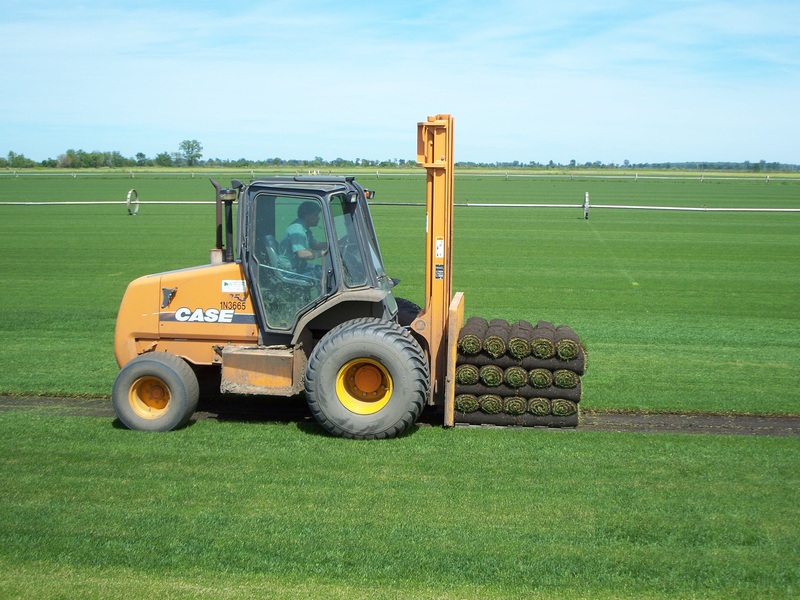 The growing of quality sod requires about 14 to 18 months and much scientific know-how. The seed beds are prepared in a very particular manner and the leveling of the land is of the utmost importance in order to form a near perfect seedbed. After the seed is planted, irrigation is a very necessary step in the growing process. Fertilizing, mowing and weed control are the next steps in producing a crop of quality turf. Harvesting the finished product is done with mechanical harvesters, and the sod which is stacked on pallets is placed on trucks with forklifts and sent to it's destination to be lawns for homes, commercial properties, athletic fields and many other uses. 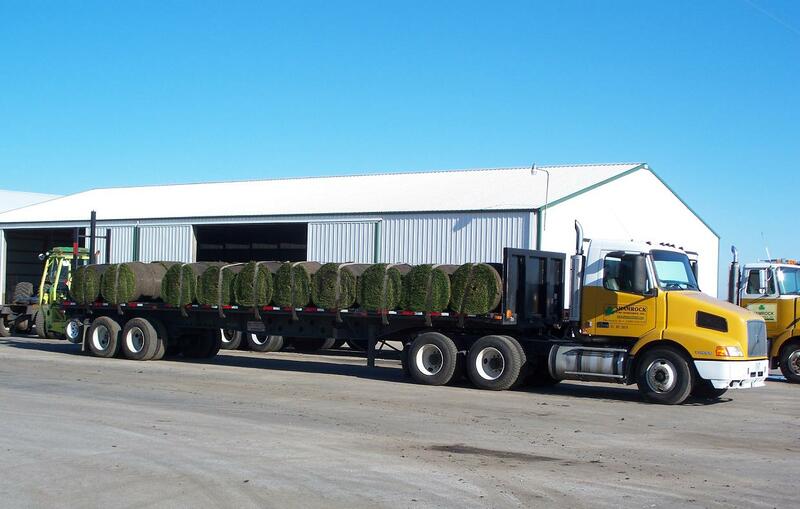 Shamrock Sod is delivered over much of the states of Indiana and Illinois, and from this comes our Motto that Shamrock Sod "COVERS THE FINEST LAND ON EARTH". 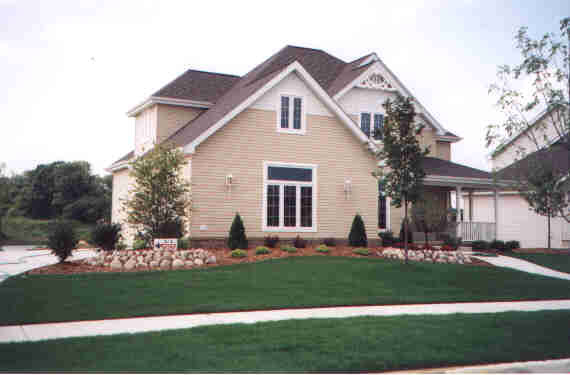 At Shamrock it is believed that the use of sod creates a more beautiful neighborhood, community and country in which to live and work. In Addition to the Sod production, Shamrock continues to honor its agricultural roots, through traditional grain farming. 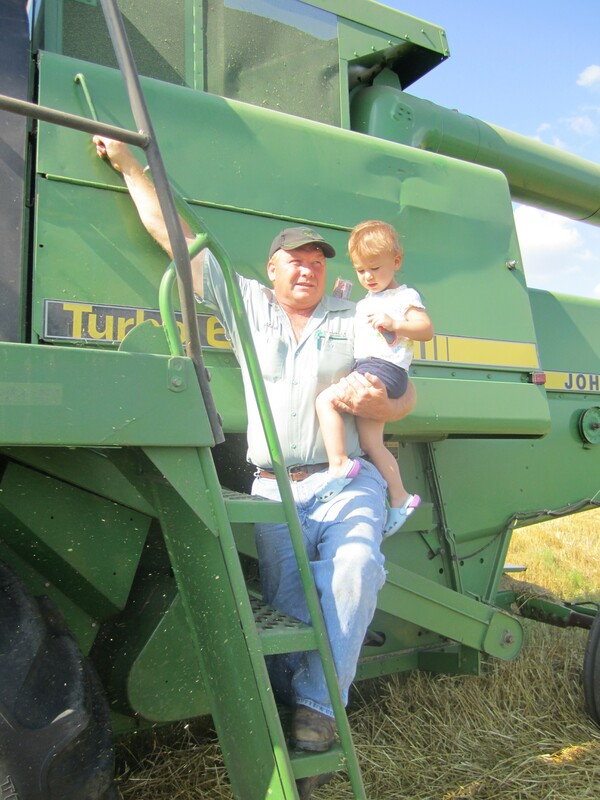 Each year the Johnson's plant and harvest a crop of corn, soybeans, wheat, or oats. Both Ray and his son Mark enjoy participating in the legacy of their Forefathers (with a little help from the next generation as well). 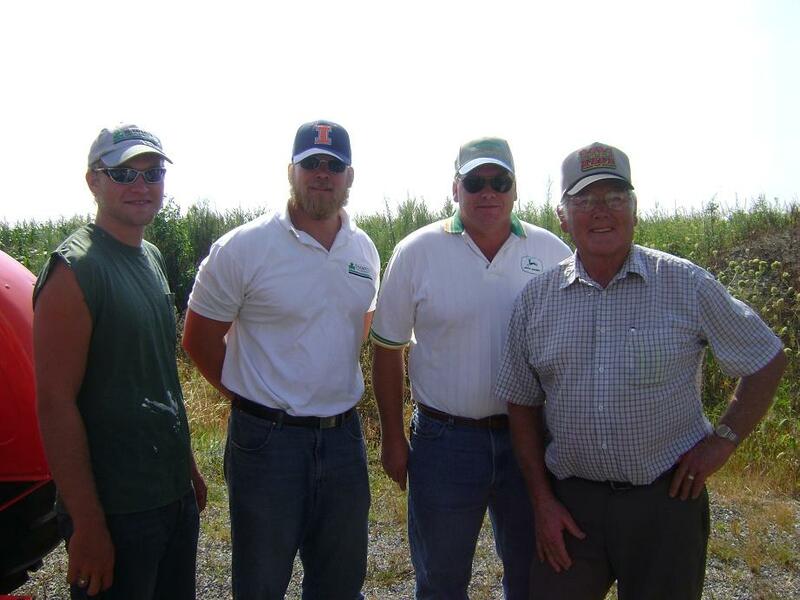 Much of the land that they farm has been in the family for over 100 years. Their heritage of faith in Christ, coupled with the principles of hard work and integrity are what motivate them to work towards the future.